Step 2: Who Is Your 2019 Audience? Step 3: What Are Your Goals for 2019? Step 4: How Often Will You Release Content in 2019? Streamlining the content planning and production can save your business time and money, and your audience will appreciate the results. From researching buyer personas to integrating evergreen content, this guide can help you craft the perfect 2019 content calendar. Next, it is time to figure out who you’re creating content for in 2019. You may already have a clear idea of your target audience from 2018, but it always helps to revisit this. 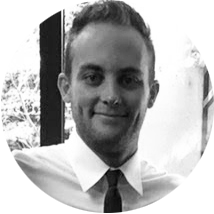 Use existing client data to compile new client personas and determine whether your average customer has changed over the past 12 months. If your target audience has changed, keep that in mind as you create new content. Businesses don’t create content for fun. Content is created to serve a purpose and to help businesses achieve their goals. Now is the time to determine exactly what your goals are for 2019. These don’t have to be the goals for the entire business, although they can be. Instead, they can be your marketing goals for the year. Perhaps you would like to expand into a new social media platform, increase your email list or double the articles you released on your blog last year. Consistency is key when it comes to content creation. A lot of businesses put out regular content for the first few months of the year and then fizzle out by summer. To avoid that, think carefully about how much content you want to create and when you want to release it. This is a great time to actually look at a calendar for 2019 and start filling in daily or weekly slots. You might decide to post on social media three times a day all year, or you may decide to release one blog post a week. It all depends on your budget, your goals and your desired growth rate over 2019. 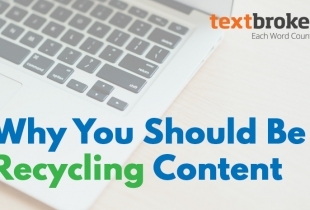 Evergreen content is, as the name suggests, content without an expiration date. Year after year, it is just as valuable to readers. It would be a mistake to craft a content calendar for 2019 without integrating as much evergreen content as possible. If you have seasonal evergreen articles, plug those in so that they make sense with the calendar. Try to spread around the evergreen content so that it is interspersed with new or trendy content. This step is often the hardest and most overwhelming to businesses, but it doesn’t have to be. Once you have a calendar established and evergreen content plugged in, you can see exactly how much content you’ll need to create in order to meet your marketing goals for the year. Then, you can start to think about what your buyer personas and target audience would like to read. If possible, start a list of actual topics or article titles. Although you certainly don’t need to create a year’s worth of content all at once, having a list of titles is a strong start. If you’re stuck for ideas, research content marketing trends and industry developments. This logistical step is all about ensuring that your content is evenly distributed throughout the year. If you have 100 new pieces of content planned and 50 evergreen pieces that you can reuse, that’s roughly three pieces of content for each week of the year. Plug those into your calendar so that you release and promote content every Monday, Wednesday and Friday throughout the week. This should be tailored to your business schedule and the content you have available. With a solid calendar in place, it is time to start thinking about who will be responsible for creating all of your planned content. Sometimes, content creation can be managed in-house. For many businesses, however, it makes more sense to hire professional authors who can offer quality writing skills and an outside perspective. 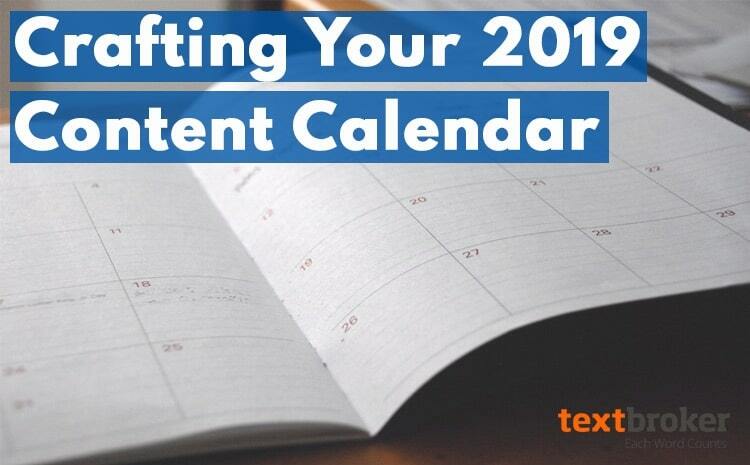 The final step in your 2019 content calendar is planning for your content distribution. You might already have a blog where you regularly release content, but there are many more distribution channels that can be effective. You can post links to your content on social media and include a brief social media teaser to attract user attention. 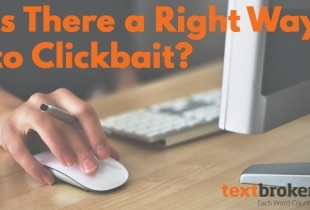 Or, you might send out monthly emails with links to a roundup of the month’s most popular posts. Having a plan in place right from the beginning of the year decreases the chance of dropping the ball and reducing the reach of your content. After all that planning, all that’s left is to execute the plan over the course of the year. With a solid plan in place and a full content calendar, your 2019 marketing plans are bound to be a success.